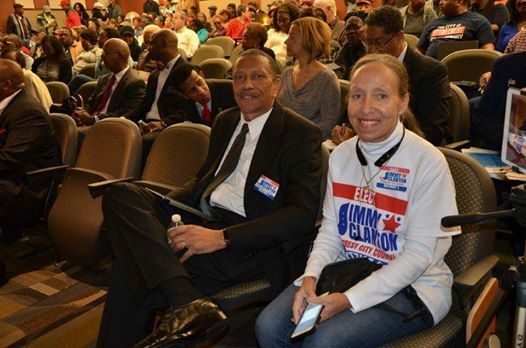 Thank God for my wonderful wife Edwina Clanton, by my side every step of the way, her passion for the city of Stonecrest has inspired so many people to action. She realized early on that it is the people we must cater to and not a project or an agenda, it is truly the people and the neighborhoods. 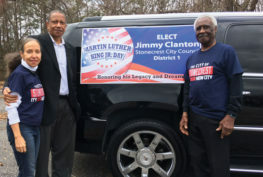 Thank you baby for being here advocating for the people of our city of Stonecrest. The foundation of solid government for the city of Stonecrest, Georgia lies exclusively with it’s people and by extension the neighborhoods we live in. Our foundational priority is to TAKE CARE OF THE PEOPLE AND THE NEIGHBORHOODS THEY LIVE IN. A resilient people given the opportunity to be POSITIVELY involved with a city the size of Stonecrest can overcome all on their path to greatness. When we are involved, engaged and empowered by our leaders we are powerful to effect POSITIVE change in our city. No matter where that leads, we are on the right path when our leaders recognize that they serve at the pleasure of the people and not themselves. Relating to each other requires a level of understanding that comes from day to day contact with each other. Over the years we’ve made so many acquaintances, so many friends from within the communities now bound by the borders of Stonecrest. I feel what you feel, I want the same things you want, we share the same concerns. As community activists, we have shared in the same struggles and fights. WE NEED EACH OTHER TO MAKE THIS WORK! We see a better South DeKalb, and it begins with the city of Stonecrest providing as a PRIORITY for the needs of EVERY NEIGHBORHOOD. I thank each and everyone of you! We can make this happen, let’s stay on this positive path to success, I love you all and may God continue to Bless Stonecrest! Jimmy Clanton, Jr. Wins in Stonecrest! 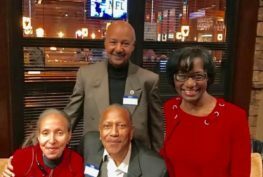 With Supporters Diane Adoma & George Turner! 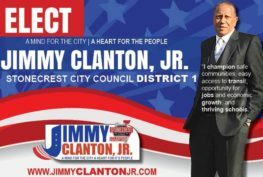 © 2015 The Committee to Elect Jimmy Clanton, Jr. All Rights Reserved.